Our lost and found helpline gives advice to owners who've lost their cats, as well as those who find apparently lost or stray cats in their area. We are so pleased to have finally been reunited with our cat Lady, who went on an 11 month adventure soon after moving here. 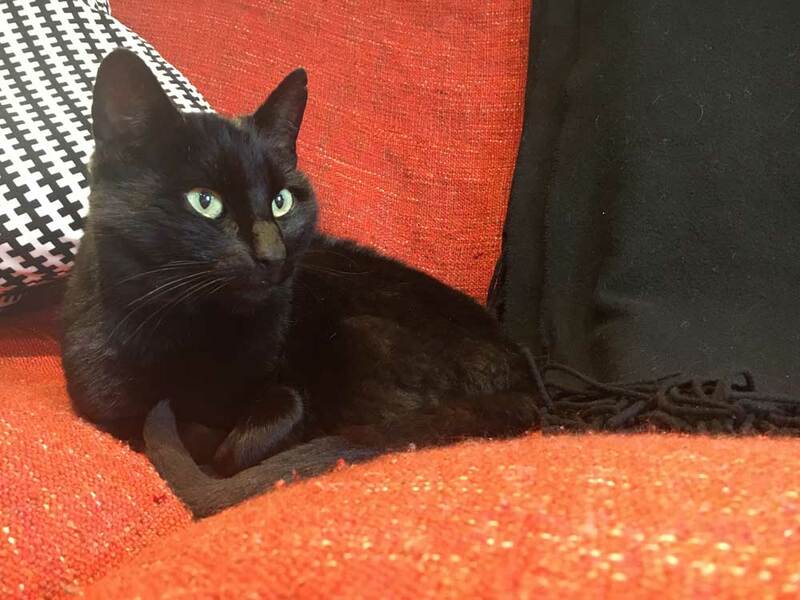 We took every effort to find her through posters, social media, the Cambridge Cats Protection website and hours of black-cat spotting - but eventually accepted she would probably not be coming back. However we recently noticed a ‘found cat’ photo on Facebook that matched her profile and was not microchipped, and were able to contact the finder via Cambridge Cats Protection. Unbelievably, it was her! She is now settling in to a warm home and will be getting microchipped next week. We hope her safe return will be encouraging to other owners of missing cats. Thanks CCP and everyone that helped reunite us! It’s such a relief to have her home.